Before learning how to change IMEI number on iPhone you should know what exactly an IMEI number is. The IMEI stands for International Mobile Equipment Identity and is a unique 15 digit number that is attributed to each and every mobile device by the manufacturer for easy identification. There are basically three methods that can be used to find out the IMEI number of an iPhone. The first method is to use the *#06# code. Type this into your device keypad. After doing so just hit call and a 15 digit series will be displayed. These 15 digits are your IMEI number. It is also possible to find the IMEI number on the box in which you got your device. There is a third, simple way to determine the IMEI number of your iPhone. All you need to do is go to Settings -> General -> About, where you will see your iPhone’s IMEI listed. This can be done on a temporary basis. It is possible to give a fake identity of your device and get rewards or make use of offers from recharge apps. So, keep in mind that this method will only work if your device is jailbreak and has access to all its device features and applications. Jailbreaking effectively removes the limit that iOS enforces access to the iOS file system and use apps that might otherwise not have been possible. 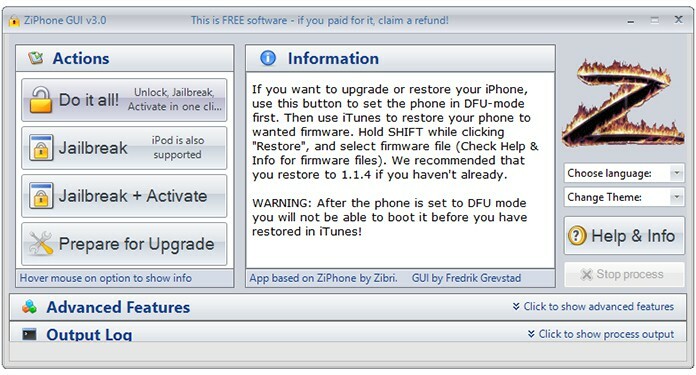 Keep in mind that changing the IMEI will make the device warranty void. The procedure will require that you use a tool called ZiPhone. Just follow these steps to change IMEI number on iPhone. Disclaimer: Use this guide only for educational or repair purposes. Changing the IMEI number on your iPhone may be illegal in some countries. This tool is compatible with iPhone 2G, 3G, 3GS and some iPhone 4 versions. 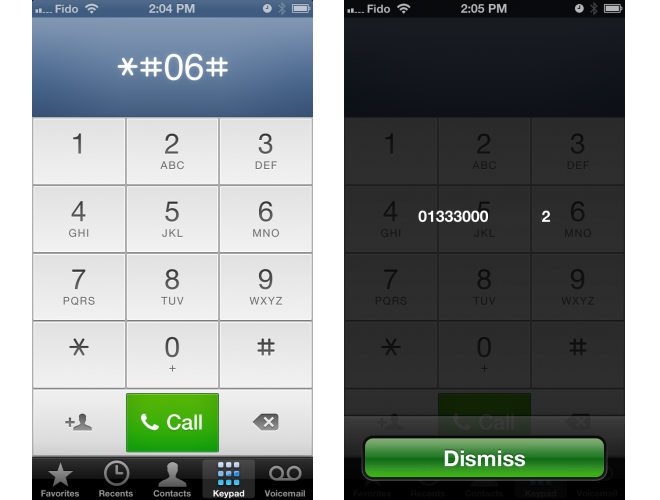 Step 1: Determine your iPhone’s IMEI number by dialing *#06# or go to Settings – General – About. Step 2: Make sure that your device is jailbroken; this method won’t work if it isn’t. 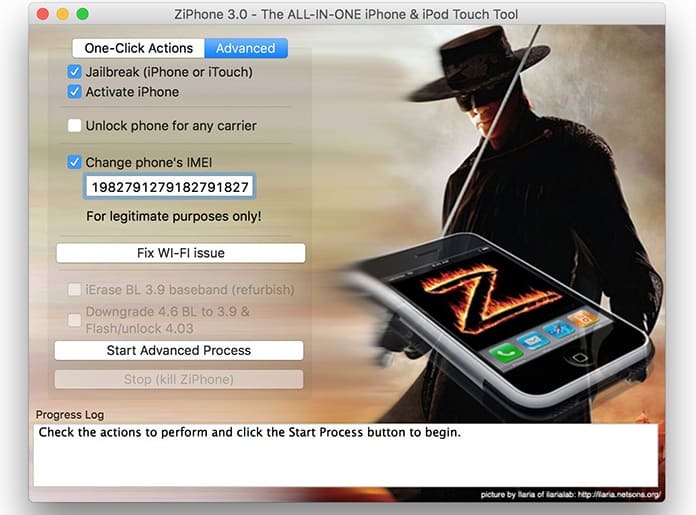 Step 3: What you need to do next is to download the PC tool called ZiPhone. Double click the ZiPhone.zip once the download is completed and extract the folder ZiPhoneWin-3.0. and rename the folder to ZiPhone. Step 4: After doing this proceed to press the Windows key and R simultaneously to bring up the Run window. Type in ‘cmd’ and click OK to launch the command prompt. Alternatively, if you are using Windows 10 you can also use the Search bar from the bottom of the screen and type in ‘Command Prompt’. In case you are using Windows 8 or Windows 7, you can simply click on the Windows button type ‘Command Prompt’ in the search bar that appears. Step 5: Next, you need to type commands to navigate the ZiPhone directory. For instance, if the directory is in the Downloads folder then simply type in: ‘cd Downloads/ZiPhone’ without the speech marks of course. Step 6: Then proceed to execute the command ‘ZiPhone’ which will show you all possible options available to you. Replace xxxxxxxxxxxxxxx with whatever IMEI number you wish to use. Step 9: The program will start a search for the ‘zibri.dat’ file and then for the iPhone that you connected. If they both are successfully detected, you will have to wait for 2 to 3 minutes before rebooting your iPhone and unlocking it with the new IMEI number. 1. 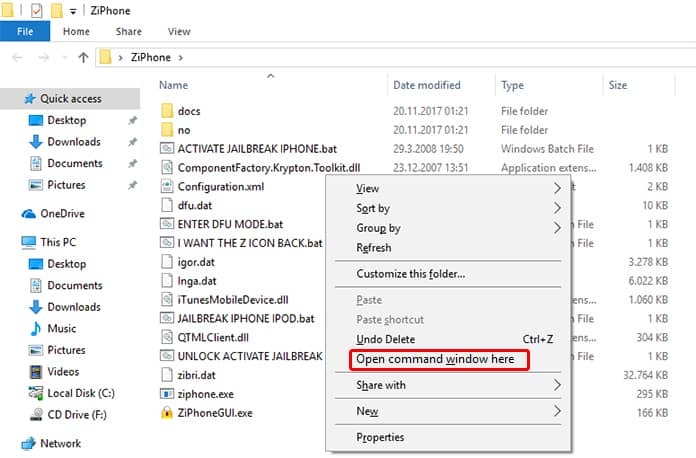 First, you need to open the ZiPhoneGUI.exe app on your PC. 2. Navigate to the Show Advanced Features tab. 3. Select the Fake IMEI option and enter the new IMEI number. 4. Click Perform Actions to change the IMEI code on your iPhone. That is all there is to change IMEI number on iPhone. Did this work well for you? Comment and let us know!